Homebirth midwifery is a great option for healthy pregnant people who are experiencing low-risk pregnancies. 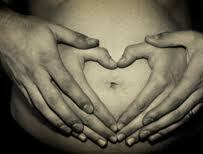 Your midwife comes to you for all of your prenatal, birth, and postpartum appointments and needs. Midwives are trained in normal pregnancy, birth, and postpartum and are equipped to handle certain emergencies such as hemorrhage. In California, midwives are licensed through the Medical Board and must renew their licensure every 2 years. We are trained and certified in neonatal resuscitation and CPR/BLS. Midwifery care also means choosing your birth attendants. Signing up for care with me means I will be your care provider through the end of your 6 week postpartum period. You will not have to wonder who will be caring for you when you go into labor, nor will you have to worry about shift changes. I will support you throughout. By the end of pregnancy we will have formed a trusting relationship. To schedule an interview contact me at innercompassbirth@gmail.com.